Please contact us with any questions or concerns, or to set up an appointment with us in Trussville. This is our Office Manager Cortney, the "insurance guru" as we call her......She graduated from Wallace State in 2010 to pursue her career as a Dental Assistant. Later, she had the opportunity to learn the insurance and billing side of it and has stuck with it every since (she secretly loves to "sneak" to the back to assist). When Cortney is not at work she loves spending time with her husband of 3 years and their two Boxers. They love to go camping and ride RZRs whenever they get a chance. Also Mrs. Cortney is the "flower/garden queen", she grows all types of beautiful flowers and this year she grew a field of sunflowers up to 12 ft tall! 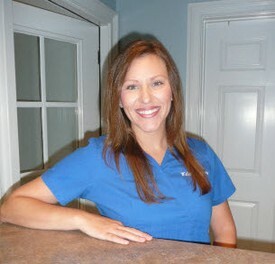 Heather has been a Dental Assistant for over 10 years and is still going strong. ALL of the patients love her and we like to refer to her as "the baby whisperer" because anytime we have a sweet baby that gets sad at the dentist, she can cheer them right up. When Heather is not at work she loves spending time with her 2 sweet little boys and her husband. Haley joined our team over a year ago. She completed her degree in 2015 from Wallace State. She enjoys talking to and getting to know each of our patients. Haley is currently taking classes to earn her license to become a Registered Dental Hygienist. When she is not working Haley enjoys riding her mountain bike, making pottery, spending time with her fiance, and doing anything adventures. We are pleased to announce that we now have Mrs. Lori working full time now. 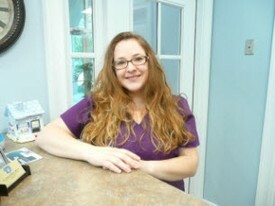 Lori has been a hygienist since 1998 and absolutely loves it. Her favorite part is teaching patients about good oral health care and of course seeing her patients each day. When Lori is not working she enjoys spending time with her family, watching the sunrise over the water from her deck, sewing, and antique shopping.